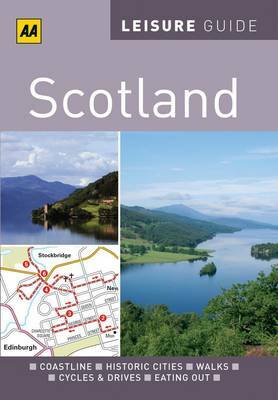 This fantastic activity guide from the AA tells you the best places to visit in Scotland and includes mapped walks, cycle rides and car tours. Inside you'll find easy-to-use and modern layouts with colour photographs to inspire you and area maps which show the area in detail. The guide contains 10 walks, 3 cycle rides and 2 car tours, each illustrated with a colour map. Each chapter tells you the best places to visit and listings pages give reviews of pubs and tea shops plus information on where to shop, local specialities, activities, and local events and festivals.